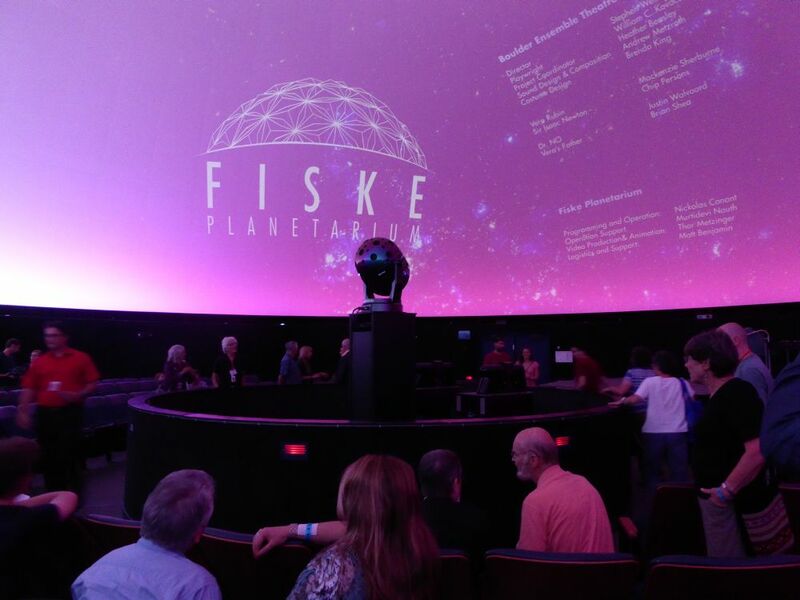 While my previous post announced the award winners of the Fiske Fulldome Festival, I did not have the opportunity to provide more detail about the festival itself. It was a three day fulldome festival, which focused solely on content, there were no workshops, formal presentations or papers. This worked well allowing the attendees to see a huge range of shows. 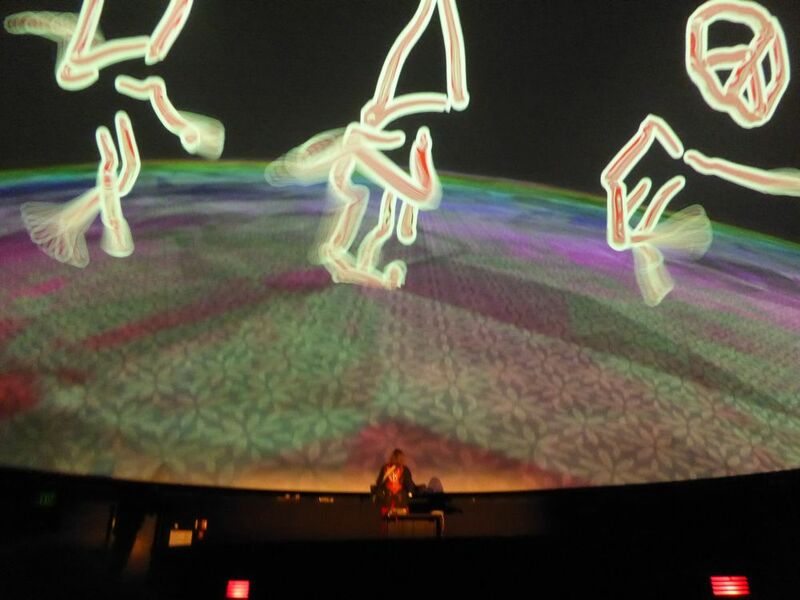 Interestingly, it was the first fulldome festival in the USA since Domefest at the 2012 IPS conference in Baton Rouge. Thor Metzinger and the rest of the team at Fiske put together a fantastic festival. The planning of the festival began more than a year ago. The festival included student works, short films, clips from works in production, VJ sets, live performances and even a play. – Android Jones VJing in the dome along with two other VJs. – A short play on Vera Rubin hypothesising Dark Matter, which was presented by a local theatre group. For the VJ sets, the event was listed on Facebook and the 190 available seats sold out in an hour. The vibe in the audience was electric. It is amazing to think that the festival managed to bring together the leading artists in live fulldome performance.